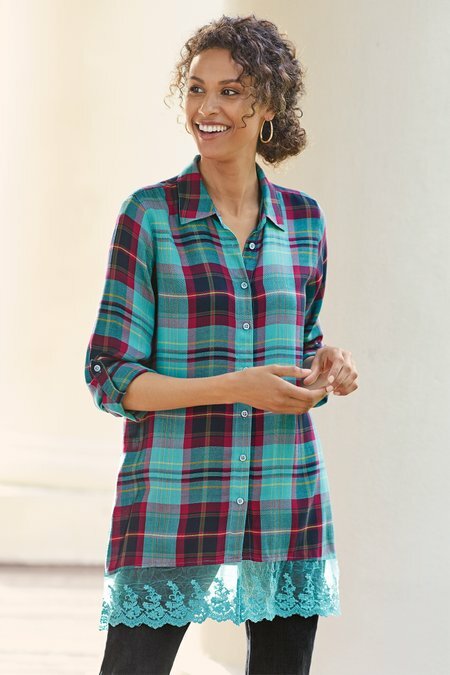 A brilliant cross-over between traditional plaid and feminine lace, this roomy woven shirt has a bit of shirring at the back waist seam. Long roll-tab sleeves, button front. Misses 30"/33" long.